The name of this borek may sound weird but of course it has a reason. What gives its name is one of the steps of its procedure in which the phyllo dough is boiled in water. That’s why it’s called su boregi (Water Borek). It’s a more trying work to make this borek unlike the other borek kinds here that can be made with prepackaged phyllo sheets. So it’s better if you can get help from someone making su boregi. Su Boregi was one of the pastries we made together and it was a real fun to work with her in the kitchen when she visited us. I thought I would help her making this borek before we started but as an experienced cook she knew how to teach a recipe. I made the difficult steps following her instructions and she helped me. She thinks this is the most effective method to teach someone how to make a new and difficult dish. First prepare its filling. Mix chopped parsley and cheese together. You will use the olive oil seperately to oil each layer of phyllo doughs. Mix the dough ingredients in a bowl and knead it well. Add little flour if necessary. It won’t be so soft. Divide the dough into 10 balls. Put some flour aside on the counter and when rolling the balls out, sprinkle some flour on the dough if you think the dough gets sticky. Oil the oven tray. It’s better if you have a round tray as it’s easier to arrange the phyllo doughs in a round one. Mine was rectangular. Lay one phyllo dough in the tray, so we don’t boil the first phyllo. Drizzle some olive oil on it. Put 3L water in a large pot. Add salt and olive oil and boil it.Put 3L cold water in another large pot. Put one of the the phyllo doughs first in the boiling water. Boil it for 2 minutes (not more than this!). Take the dough from the boiling water with the help of a sieve and transfer it into the cold water in another pot. Try to be as quick as you can in this step. Wait it in cold water for a few seconds and take it on a clean kitchen towel to remove the excessive water on it. Then lay it on the first phyllo dough. Repeat the same steps for 3 more phyllo doughs and don’t forget to drizzle olive oil on each one. Then when you have 5 layers, spread the cheese&parsley mixture evenly. Don’t worry if you can’t lay the phyllo doughs as a whole, just keep laying the pieces as they will stick when baking. Then go on doing the same steps for the rest of the phyllo doughs except the last one. You will boil 4 more doughs, but not the fifth one. Lay the fifth dough on the top as it is. Mix the ingredients for the top sauce until smooth and spread it on the top. And cook it until its top gets golden. Cut it in squares before serving. Note: The steps of boiling and laying the phyllo doughs are made by mom, so this part might be done by the person who helps you. You are truly amazing and talented cook. I can’t get over it! What an absolutely yummy sounding borek. I have not heard of boiling the phyllo dough before, I am so intrigued I cannot wait to try it. As usual, you are a wonderful source of information and inspiration. Hope school is not too busy for you. Worth for the effort.Looks so perfect dear! This looks like a lot of work, Zerrin. I think I’ve had this before. Yours looks wonderful-I want a piece now! What a fab meal this is!! Beautiful photographed too! Interesting. I’ve never seen anything quite like this! O kadar güzel yapmışsınız ki, “gözümü karartıp yapsam mı?” diye düşünmeye başladım. Sanırım önce yardım edecek bir arkadaş bulmam gerekecek. Tatlıya düşükün değilim ama, böyle böreklere hiç dayanamıyorum… Bir de bu kadar lezzetli görünüyorsa. Sevgiler. This is really beautiful and elegant, Zerrin. Looks really delicious too, I love that crispy golden layer on top! That is very interesting, I didn’t know you could make borek this way. 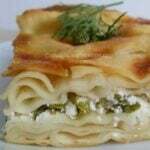 Then thinking about it, it’s very similar to the Italian way of making lasagna, the little difference is the dough, you have milk in the borek. But the process of cooking the sheets in the water, then layering it, is similar. Great borek! now I want to taste it! This looks interesting and challenging but delicious. Thanks for sharing. I’m hankering for borek now! My Grandma usually made it – yours is outstanding, can I eat the screen? A very unique recipe and an incredibly delicious result! I would love to try this! The dough looks so light and lovely, and the filling looks delicious too. This was worth the extra effort! WOW! Thanks for sharing this interesting recipe. Looks fabulous and yummy.